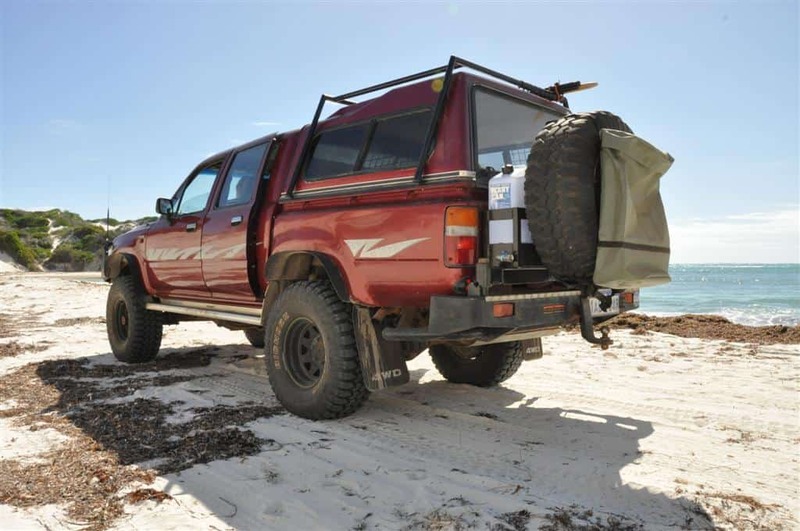 You can never have enough storage space for your four wheel drive. However, there are certain things that need to be stored with a bit of thought. The most obvious issue is rubbish. Sure, anything that is cardboard or paper can be burnt (providing you are allowed a camp fire), but this still leaves a large amount of rubbish that you can’t throw away. Most people use a plastic bag, which can rip, blow around and be a real pain in general. The solution is a Rear Wheel Bag. These clip around your spare tyre (on the rear of your four wheel drive) and are large enough to carry several weeks worth of camping waste. They aren’t very expensive, and provide a bit of protection for your spare wheel against the sun. You can use them for rubbish, used recovery gear, dirty clothes, wetsuits, towels and anything else that you don’t want in your vehicle! I fitted one a few months ago, and absolutely love it. 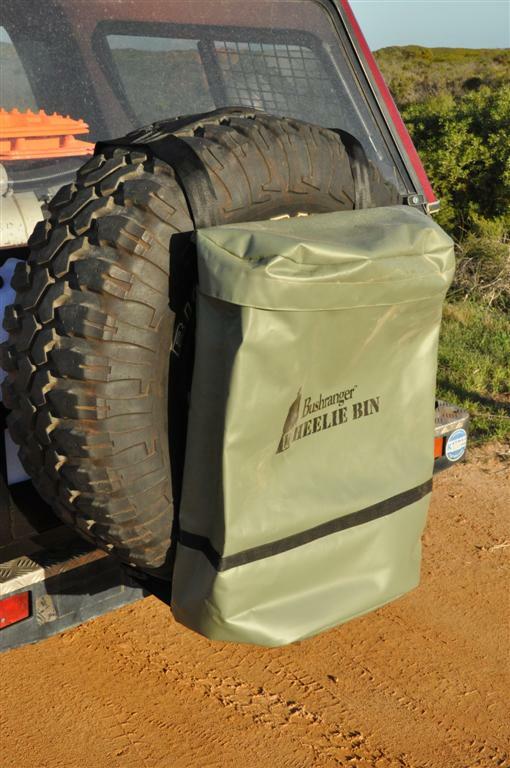 Most of the time your vehicle is near where you are camping, and it provides a perfect height bin that is easily accessible and easy to empty. No more smelly plastic bags that blow around, or get torn. No more carrying smelly rubbish inside your vehicle either – you can keep it outside. These are adjustable so they fit a number of different sized tyres, and are quite big so you won’t be running out of space any time soon. When you get home, simply unclip it and tip the stinky rubbish into the bin. There are a number of different manufacturers offering these, but the ‘Bushranger Wheel Bin’ seems to be the most popular. They are made out of heavy duty canvas, have a zip and drain holes, and are built to last. If you have issues with rubbish, these are a brilliant addition to your camping arrangement.